Kuala Lumpur, 11 August 2016 – November will be a month abuzz with fashion activities as one of ASEAN’s largest and most exciting trade lifestyle and fashion events, Malaysia Fashion Week (MFW), a project by INTRADE, returns for the third year running, presenting the best of Spring/Summer 2017 Malaysian and ASEAN’s lifestyle and fashion collections to global fashion buyers and traders alike. The event, that is set to place from 2 to 5 November 2016 at the MATRADE Exhibition & Convention Centre (MECC) in Kuala Lumpur is jointly organised by the Malaysia External Trade Development Corporation (MATRADE), and STYLO International. This year, MFW will showcase a dedicated fashion and lifestyle exhibition spread over 10,000 square meters with over 300 fashion and lifestyle exhibition booths, along with a host of other exciting activities such as fashion shows, award ceremonies and spectacular gala events in collaboration with the Mercedes-Benz STYLO Asia Fashion Week (MBSTYLOAFW), making it one of most comprehensive trade lifestyle and fashion events in the region. The exhibition component of this event will be segmented according to six clusters - Fashion, Apparels & Accessories; Jewellery; Beauty, Hair & Cosmetics; Art & Handicrafts; Lifestyle & Interior; Textile & Peripherals. “MFW is tipped to be the fashion expo that offers ample opportunities for professional buyers and consumers alike to source for the best Malaysian and ASEAN designs for their Spring/Summer 2017 collection. Registration is still open for exhibitors, fashion designers, and trade visitors and we encourage those who are keen to participate in this event to register immediately as to not miss out on the chance to be part of one of the biggest fashion and lifestyle trade events in this booming region,” said Dato’ Dzulkifli Mahmud, CEO of MATRADE & Chairman of MFW. Last year, MFW recorded 9,150 local and international visitors, and RM127.52 million in sales transactions, a 40% increase from 2014 with a total of 1,541 business meetings between local companies and international buyers held. The event also featured 22 fashion shows with the participation of 103 fashion designers from over 14 countries through the Malaysia Fashion Showcase and Mercedes-Benz STYLO Asia Fashion Week. Malaysia's exports of fashion and lifestyle products reached RM36.91 billion in 2015, up by 13.2% as compared to RM32.61 billion in 2014. The main industries categorised under the lifestyle sector include textiles, apparels and footwear, furniture, jewellery, cosmetics and toiletries as well as gifts and premium. Exports of this sector were mainly to the USA, Japan, China, Singapore, Turkey, Indonesia, India and Thailand. “The Malaysian fashion industry has a lot to offer to the world but we need a strong marketing strategy to ensure Malaysia gets noticed by the world. The collaboration between MATRADE and STYLO International embodies a strategic public-private partnership and such inter-dependence is crucial in ensuring we are able to push this sector globally. Ultimately, with consistent efforts, we will be able to have a strong foothold around the world,” added Dato’ Dzulkifli. “Today, up-and-coming young Asian designers are creating waves in the global fashion industry. The likes of Motogoa which was recently signed on by the LVMH group and Yii who now has presence in London has proven that fashion week platforms like MFW have successfully open doors for the young and talented to be discovered by industry’s key players from the East and West,” said Dato’ Nancy Yeoh, the President & CEO of STYLO International and Co-Chairman of MFW 2016. MFW will showcase a diverse collection of fashion segments including women’s fashion, menswear, youth, and also include modest wear under the MODEST-yle segment. Complementing this is the Inclusivity fashion segment which will highlight Malaysia’s diverse culture and social fabric of different ethnicities - Malay, Chinese, Indian, Peranakan and the ethnic minority groups in East Malaysia, particularly Sabah and Sarawak. “The design elements derived from the many cultures in Malaysia and ASEAN are a strong selling point as foreign buyers are always on the look-out for something out-of-the-ordinary in fashion and accessories. Some of the designers incorporate unique designs and materials inspired by the various cultures in the region to create collections that are fashionably modern, trendy, and suitable for international markets,” said Dato’ Dzulkilfli. Another continuing key component of this fashion event is the MODESTYLE fashion pavilion, which brings together a large collection of modest clothing including Muslimah fashion by designers from countries such as Malaysia, Indonesia, Brunei and others. To promote MODESTYLE, MATRADE and STYLO will be introducing www.modestyle.my as the event’s official e-Commerce partner for the MODESTYLE Pavilion. The e-commerce retail platform is an international B2C and B2B website dedicated to promoting Malaysian and international Muslimah fashion brands globally. All Muslimah designers participating in the event will be showcased and marketed digitally on Modestyle.my. Since 2014, MFW has been making headlines and is focused on boosting the Malaysian fashion and lifestyle industry. The event is a strategic public-private initiative to provide a marketing platform to present local fashion brands to international buyers, whilst aspiring to elevate Malaysia’s status as a major fashion hub in ASEAN and beyond. MFW also provides a great opportunity for Malaysian companies and designers to reach international markets and achieve greater business mileage leveraging on this internationally promoted event. In order to capture the attention of international fashion industry players and set the stage for MFW in November, the global launch of MFW will once again be held in September in Paris, one of the world’s top fashion capitals. This year, the launch will be held on board the River’s King boat located at Escale de Grenelle along the River Seine, with a number of top Malaysian designers showcasing the best of Malaysian fashion designs to an international audience made up of international trade buyers, fashion agents and media from the European region. The Malaysian designers, selected based on their international appeal, quality and capabilities, will showcase their designs via an exhibition and fashion shows taking place on the boat itself. In 2015, over 200 fashion buyers from countries such as China, South Korea, Japan, Vietnam, UAE, Philippines, Thailand and India as well as visitors from over 50 countries attended the event. 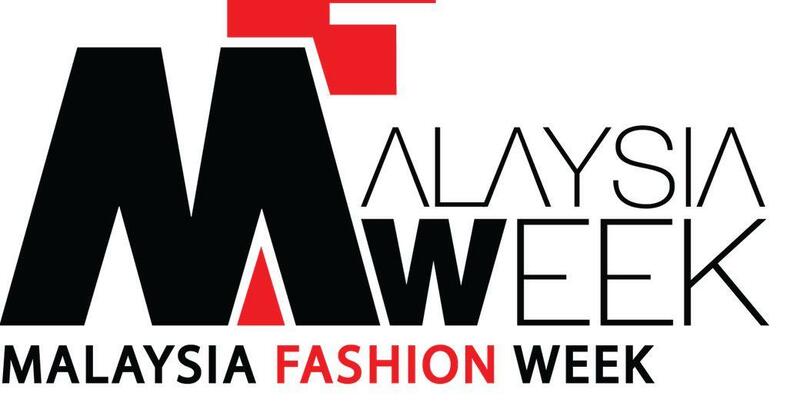 For more information on MFW, visit www.malaysiafashionweek.my or email to info@malaysiafashionweek.my. Local and international exhibitor applications are open until 15 September 2016.